The hunger strike Kurdistanis in Sweden started on December 6 demanding the isolation imposed upon Kurdish People’s Leader Abdullah Öcalan be lifted has reached its 3rd day. 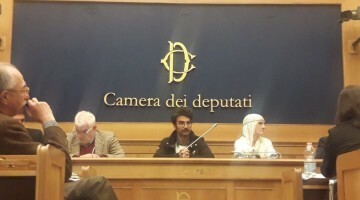 The hunger strike activists are in the Stockholm Democratic Kurdish Society Center locale and are resolved to continue to fight until the isolation ends. Ibrahimi said the KDP works together with the Turkish state and fails to defend the interests of the Kurdish people. “Our people in Bashur must overcome worry and fear. 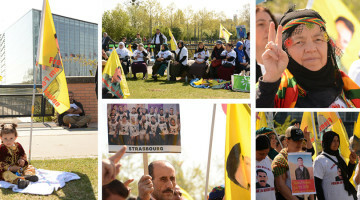 If we act together, no force on Earth can suppress our struggle,” said Ibrahimi and called on the people of Southern Kurdistan to take a stand against the isolation imposed upon Öcalan. Meanwhile, allies of Kurdistanis visit the activists to give messages of support. 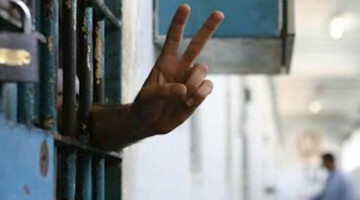 Left Party MP Daniel Riazat was among the visitors of the hunger strike on the second day. Riazat said the Left Party demands the PKK be removed from the terrorist organizations list and that they will continue their struggle until it is, stressing that the Left Party of Sweden is in solidarity with the activists.